MCTs are naturally found in coconut oil, but coconut oil only contains 15% of the purest MCTs (C8 and C10). 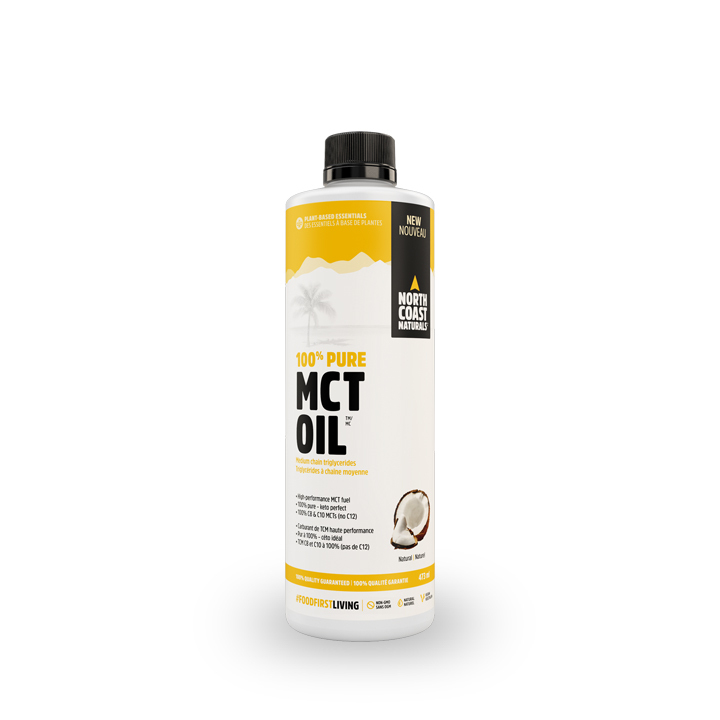 By contrast, our 100% Pure North Coast Naturals MCT Oil is 100% C8 and C10, the purest MCTs. That’s six times more than coconut oil. The smaller triglyceride molecules C8 and C10 are a more efficient energy source than the longer C12 triglyceride, making them more “keto friendly.” If you’re looking to go on a reduced-sugar or reduced-carbohydrate diet (such as a keto diet), pure MCT oil is a preferred fuel source. Just add MCT oil to your shakes, smoothies, or incorporate it into your salad dressing or dip. Due to our MCT oil’s high purity level, for the first few days start off using a single teaspoon once or twice a day before going up to a full tablespoon and always take it with food. Fractionated coconut oil supplying 100% pure, true MCTs (medium chain triglycerides). Values are approximate and are subject to normal variation.